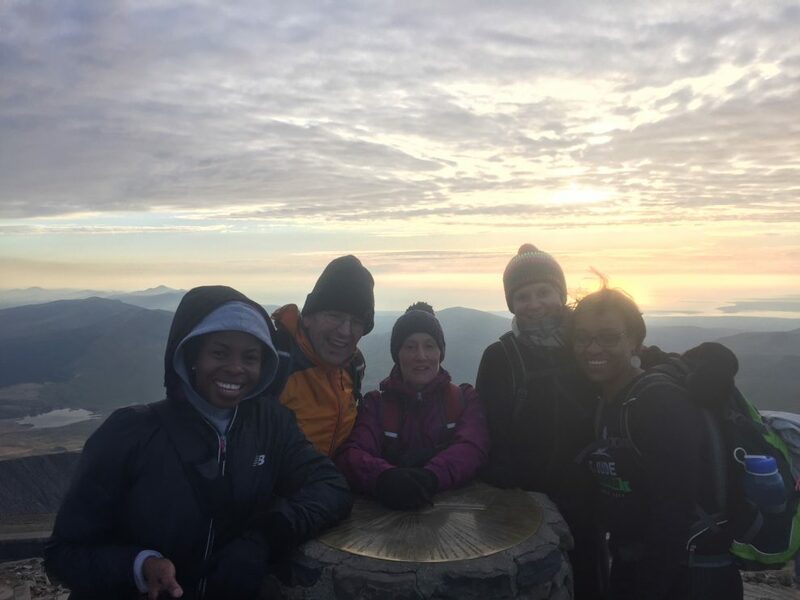 We specialise in small group guided walks and we ensure you have a fun, relaxed and stress-free experience that you will never forget. 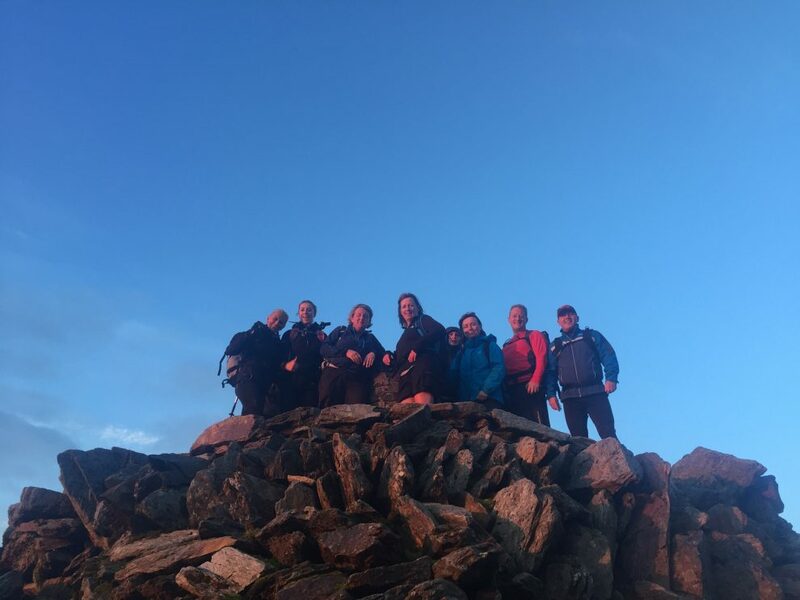 All our walks are led by an exceptional and dedicated team of experienced Mountain Leaders. We are dedicated to the highest quality of client care and providing adventures that are remarkable, inspiring and memorable. We put our clients at the heart of everything we do. Our team are always here to help from booking to completing the walk. You will be sent plenty of information, lots of advice and kept up to date before the walk. 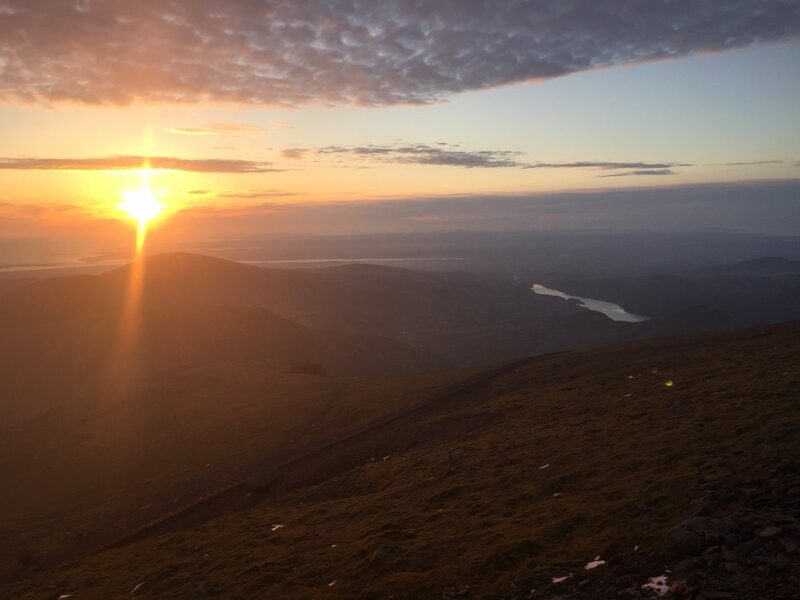 The Snowdon Moonlight Walk is an evening not to be missed. 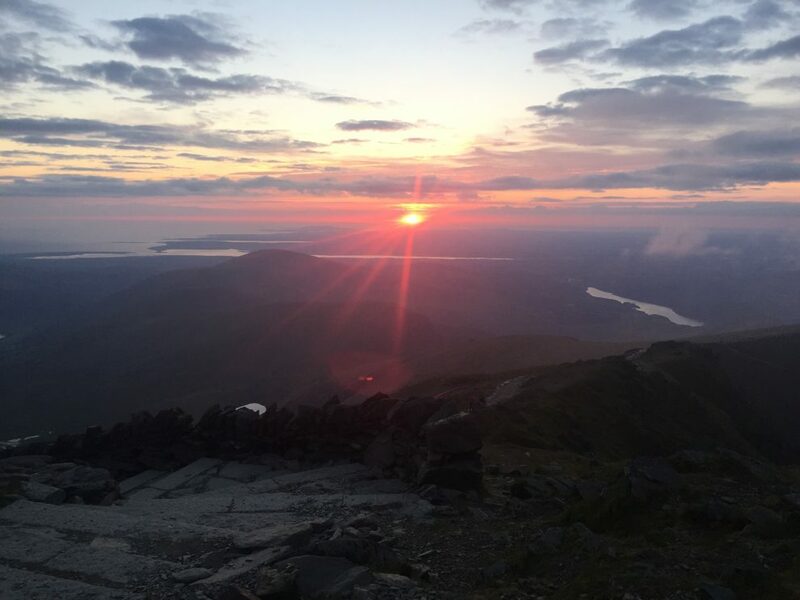 Climb Snowdon, the highest mountain in Wales, at dusk and enjoy a breathtaking sunset from the summit (if the weather allows). We then turn our head-torches on and walk down in the dark! 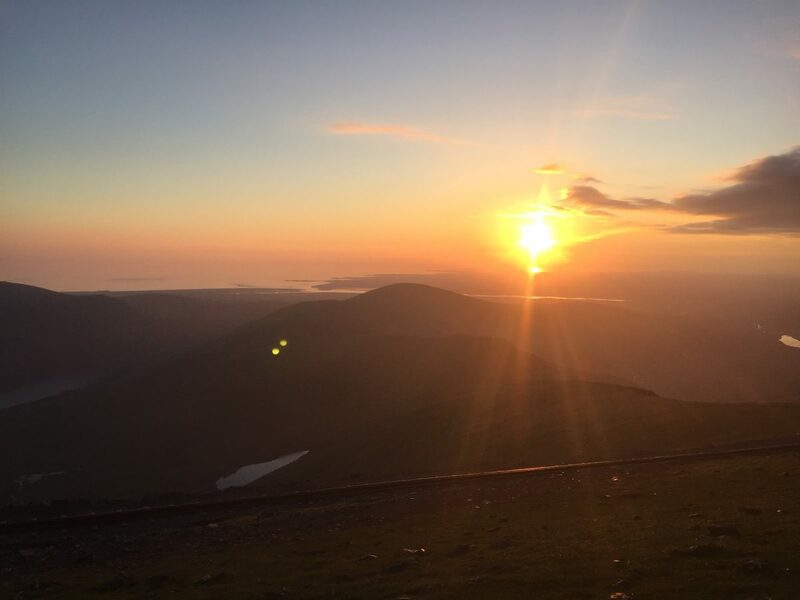 This is an opportunity to enjoy Snowdon at its quietest and see Snowdonia like never before. The walk will be relaxed and friendly. 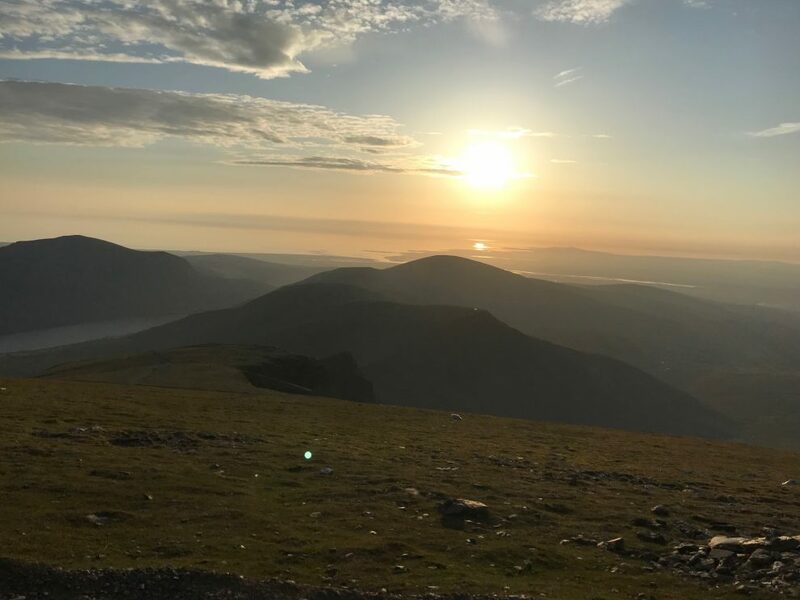 Your group will reach the summit just before sunset, and if the weather is on our side, witness a truly amazing view as you watch the sunset from the highest summit in Wales. This really is a truly unforgettable experience. Enjoy Snowdon at its very best! 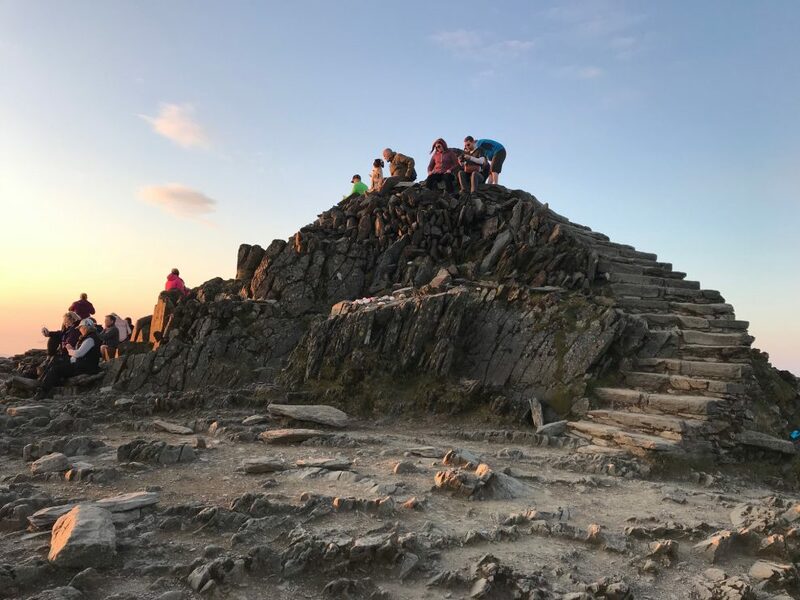 Snowdon is generally a very busy mountain, often with long queues at the summit, but on the Snowdon Moonlight Walk we will have the mountain to ourselves. 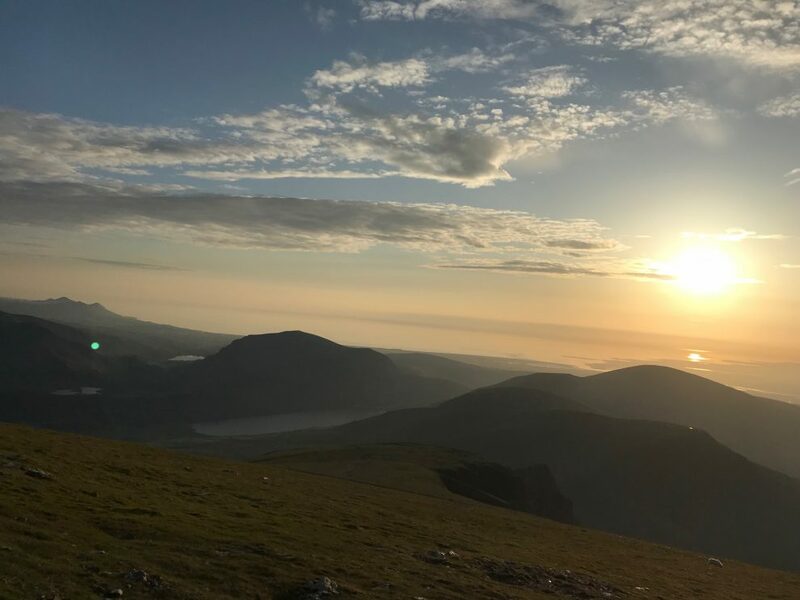 This is a rare opportunity to experience Snowdon when it is quiet and enjoy some of the most beautiful views across Snowdonia on our most popular Snowdonia Guided Walk. 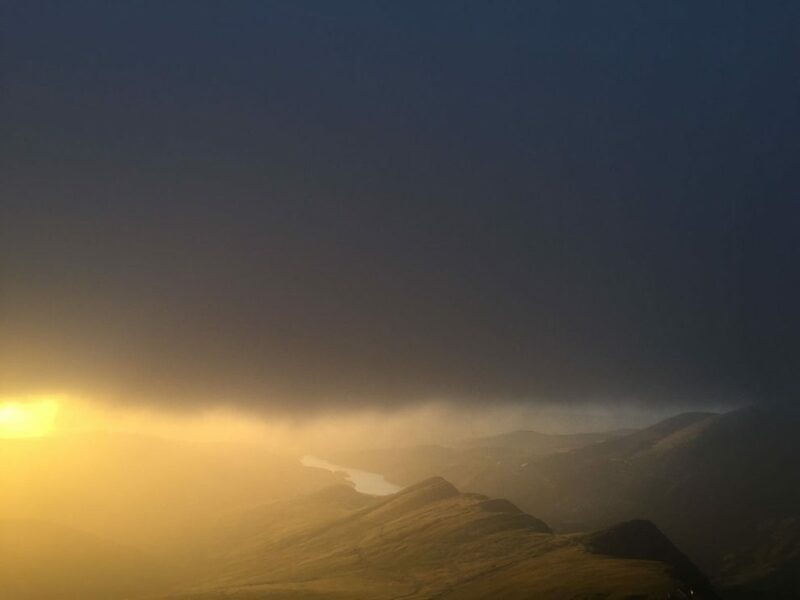 The Snowdon Moonlight walks start and finish in Llanberis which is in the Snowdonia National Park, North Wales. We recommend staying in Llanberis or the surrounding villages if you staying before or after the walk. 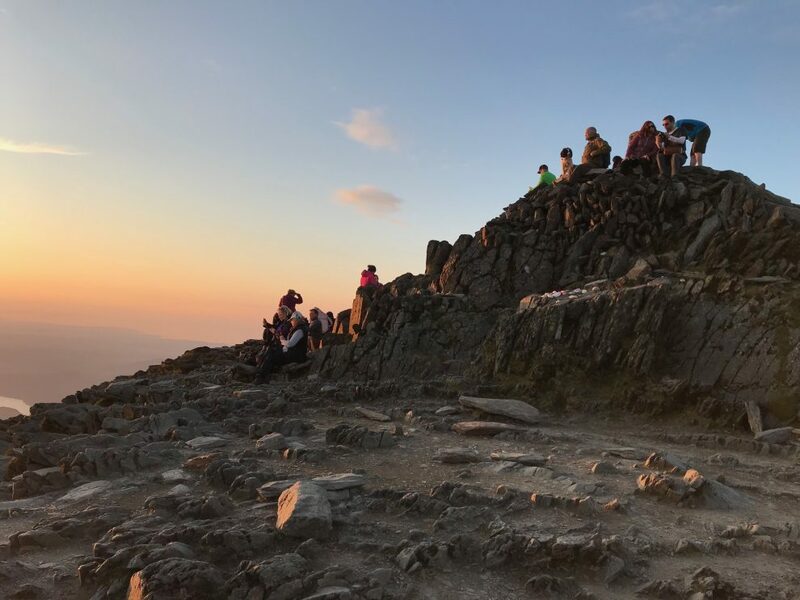 The Snowdon Moonlight Walk begins early evening, aiming to summit Snowdon, via the Llanberis Path, just before sunset. There are several dates between April and September. You can view the dates below or on the booking calendar above. 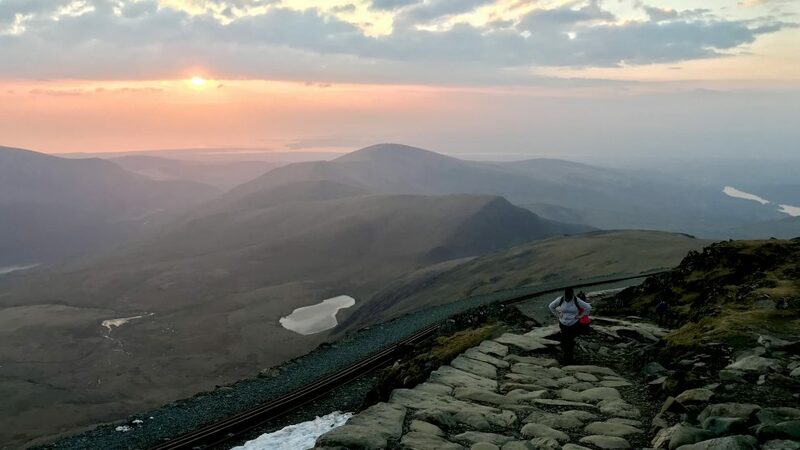 You will require a good level of fitness to climb Snowdon. 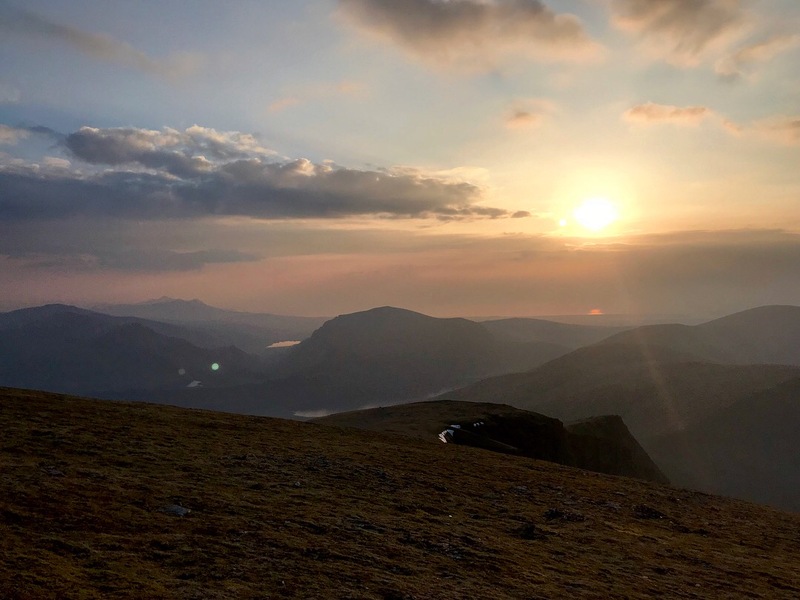 The walk takes on average 7-hours with a total distance of just under 10-miles and 970m of ascent. All walks start in Llanberis. Expect to be finished around 7 hours after the start time. Many of the dates are already fully booked. Please use the booking calendar above to check availability. Q. 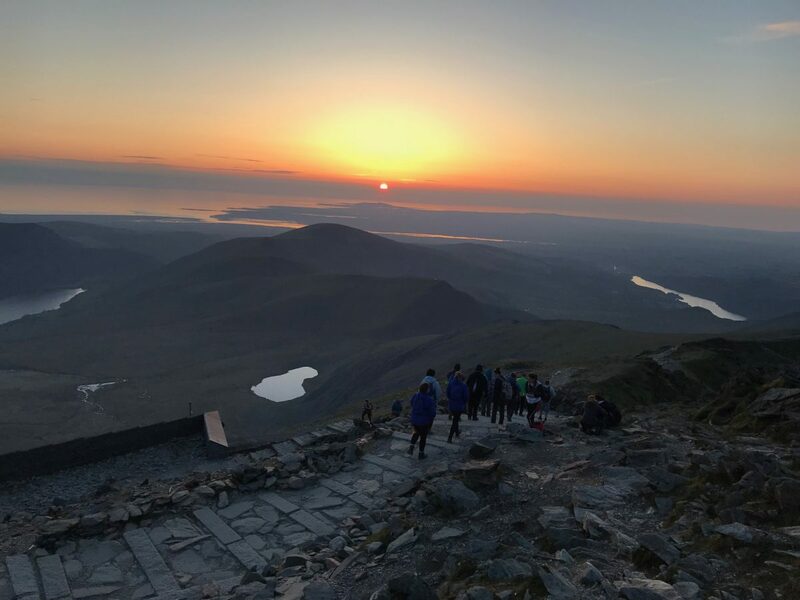 Is the Snowdon Moonlight Walk suitable for beginners? Yes this walk is suitable for beginners with a good level of fitness. We will send you a training plan so you are well prepared for the evening. We still go up! We obviously have no control of the weather but the group will still go up Snowdon unless we feel it is dangerous. Seeing the sunset is a bonus. Sometimes we see an amazing sunset and sometimes we sadly don’t. The objective though is to climb Snowdon and enjoy the mountain at its quietest and then descend in the dark. Q. Do I need to bring my own head-torch? 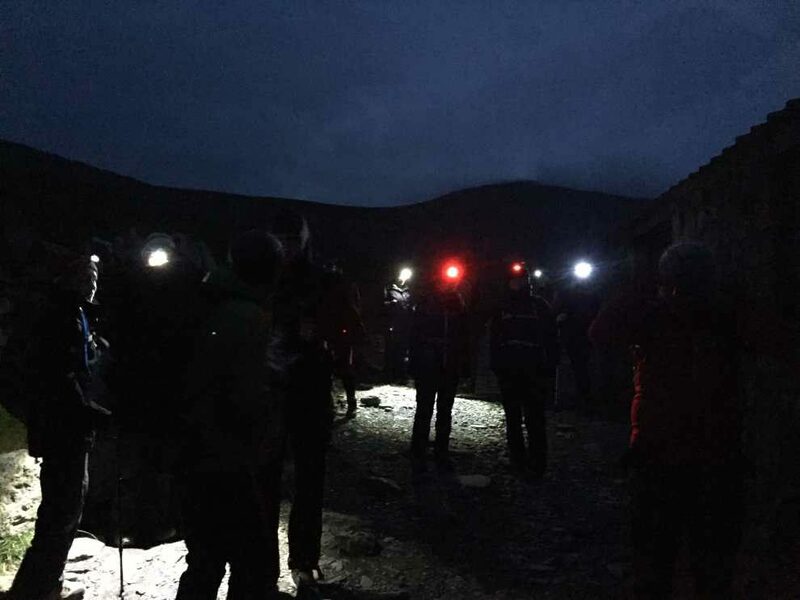 Yes you will need to bring your own head-torch for the Snowdon Moonlight Walk. We will send you a full kit-list of what you need to bring and wear. Q. 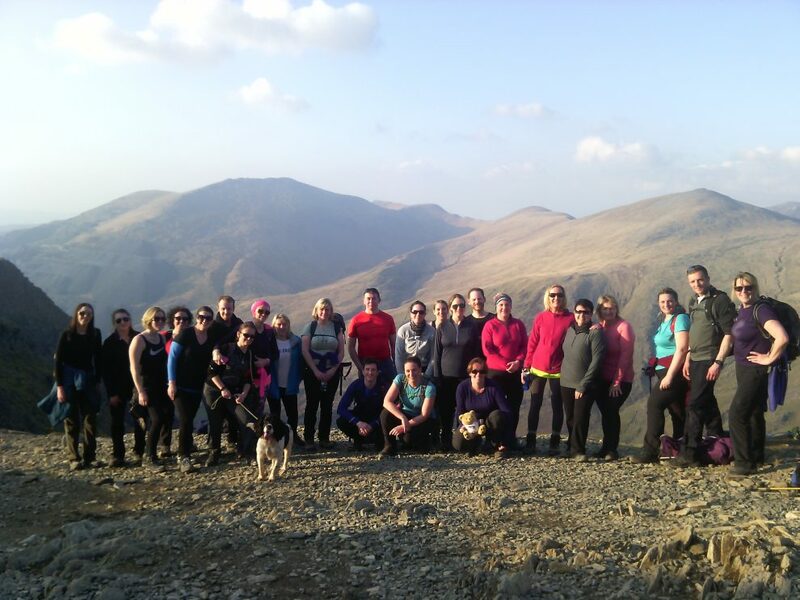 Can I bring my dog on the Snowdon Moonlight Walk? You can but please be respectful of other walkers who may not like dogs. Also ensure they are kept on a lead at all times. 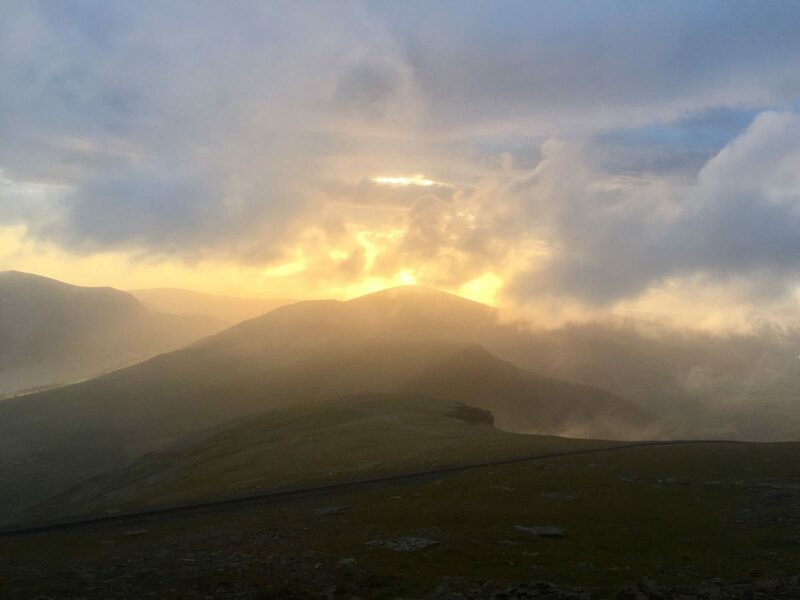 Climbing Snowdon requires a good level of walking/mountain fitness and lots of determination. If this is your first mountain then we suggest training a few months before the walk. A full training guide will be sent after booking. Snowdon is a tough walk and not to be underestimated. Q. What If I am too slow? We split the group in to two or three smaller groups based on speed, and each group led by one of our team. You can walk with whichever paced group you feel comfortable with. However, if we feel you are too slow and are going to struggle to the point where it could cause health or logistical issues then we will discuss turning you around. However, with plenty of training this won’t be an issue. If you have any questions regarding your suitability for the Snowdon Moonlight Walk then please get in touch before booking. Q. 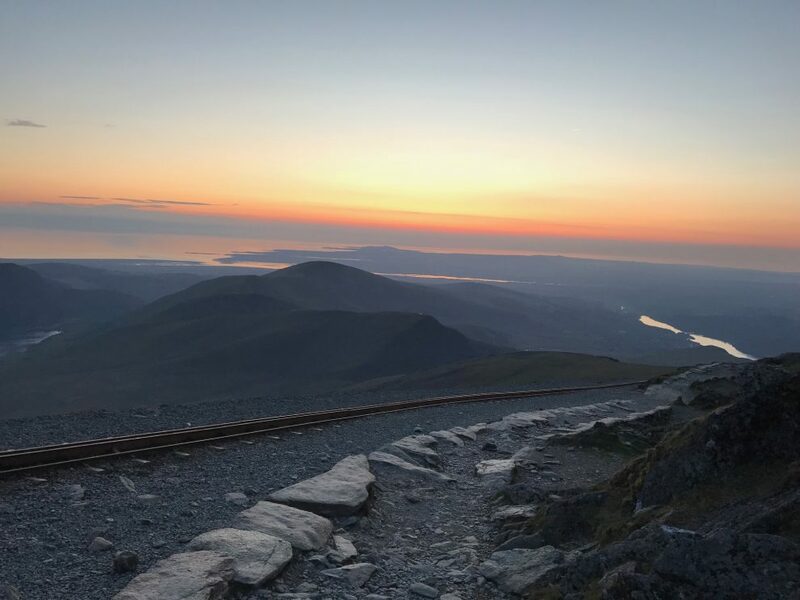 How do I book the Snowdon Moonlight Walk? Just select the date you want and the number of places using the booking calendar on this webpage. All the information will be automatically emailed to you immediately after booking. Q. All the places are full on the Snowdon Moonlight Walk, is there a reserve list? Yes. Below is a more information tab with a signup reserve list form. We can let you know if any places become available. 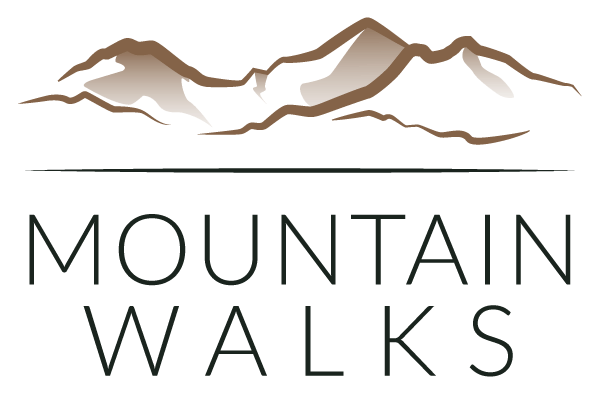 A well organised and great variety of guided walks, fantastic pre-walk info and really great guides who really know there’s stuff and are really friendly. I am booking more walks for 2019. The guides on the day were extremely knowledgeable and very friendly. We went at a steady pace and didn’t feel rushed at all. Didn’t get a sunset at the summit because the weather had other ideas, however the experience was truly amazing. Our guides were extremely friendly, getting to know each and every individual walker. The group themselves, were very friendly and chatty, so great if you happen to go on your own. We learnt so much on our walk. Thank you! 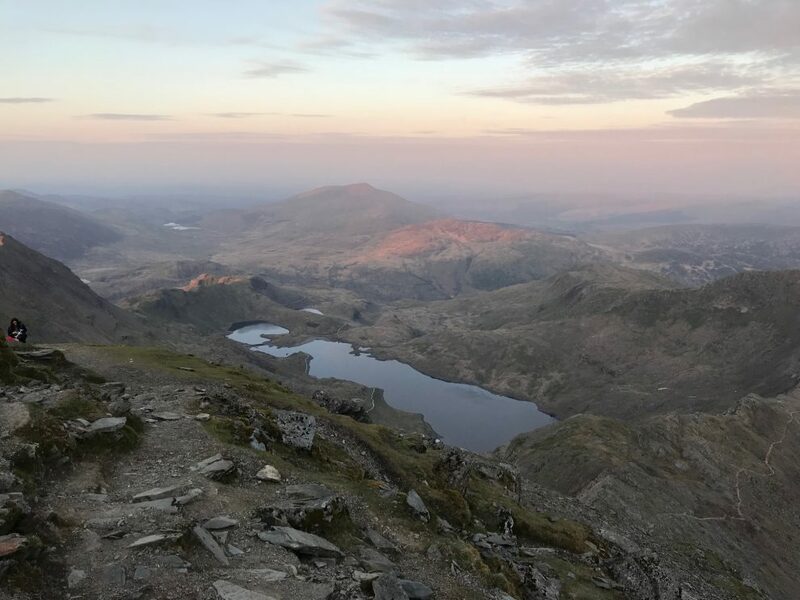 I went on the Snowdon Moonlight guided walk. From beginning to end this was a professionally run walk. From the booking information, communication leading up to the walk, to the walk itself. The scenery is magnificent and the chance to walk at our own pace to enjoy it was fantastic. Throughout the guides were friendly and relaxed, without being intrusive. They are so knowledgeable about the area. 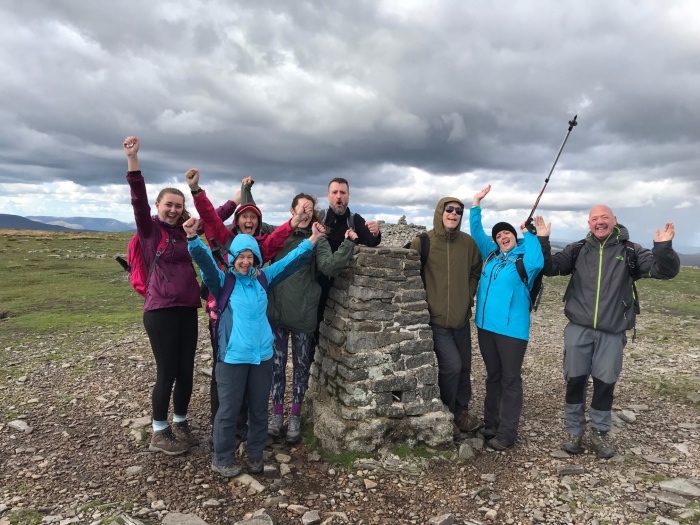 I had considered taking this walk independently but I am so glad I chose to book this group, I met some lovely people and the camaraderie was wonderful. I would 100% do this again with this company, I’m also looking at the other walks they do. A brilliant experience throughout. 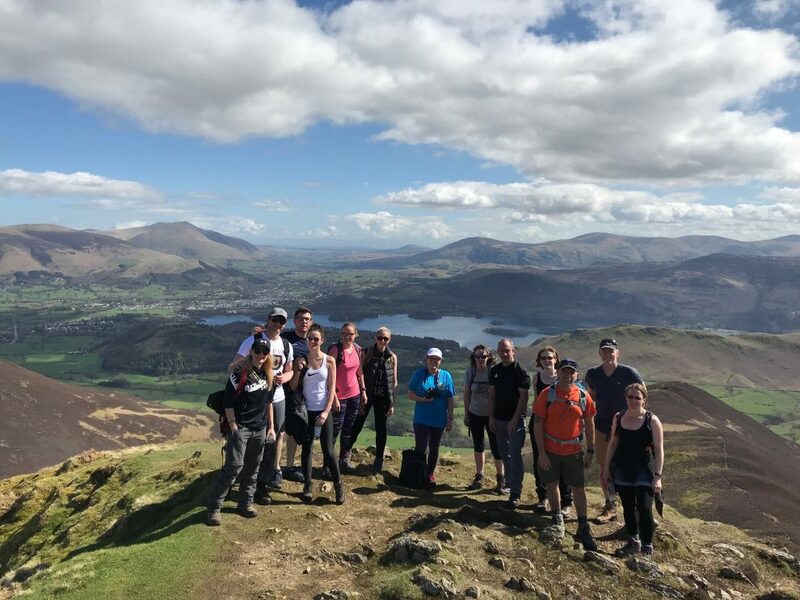 This is our second walk with you (the first being the Coledale 10 Peaks Challenge) we find your team super friendly and professional. Thank you for supporting us and inspiring us to continue. 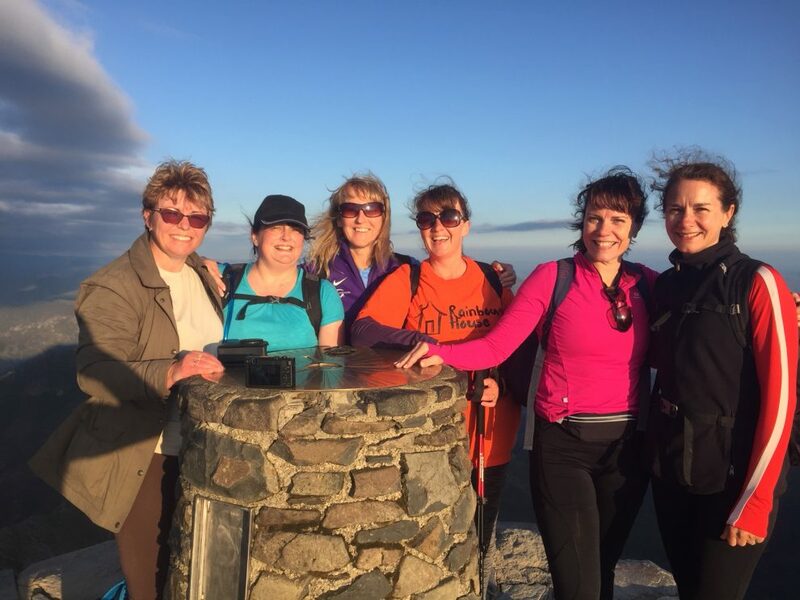 Had a great afternoon and evening with Mountain Walks doing the Snowdon Moonlight Walk. Johnny our guide was great. Also, a great bunch of people to share event with. 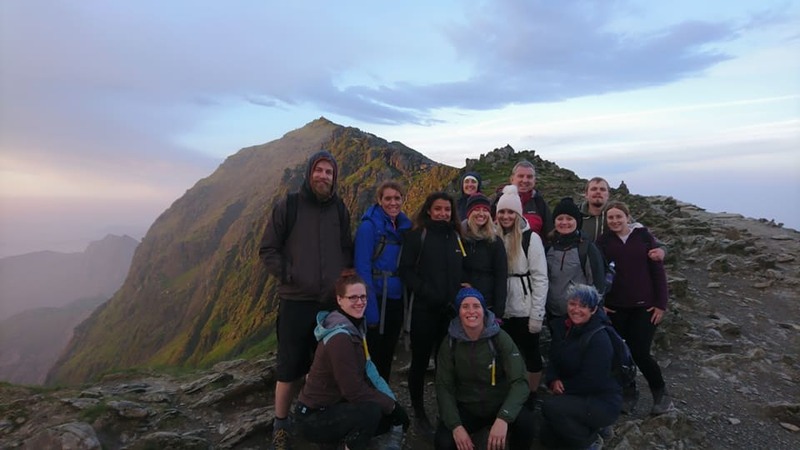 We were so happy with our Moonlight walk up Snowdon, despite the weather having other ideas and us not actually getting a sunset it was very enjoyable and would 100% recommend to others. The guides were knowledgeable, friendly and approachable and very inspiring to watch throughout the whole hike. Thank you so much for all your help support and assistance getting up a mountain at 61 and raising funds for charity. Amazing experience. Loved this experience. The pace was fine, the knowledge of the guide was great, and all in all very friendly experience with fantastic scenery. I would highly recommend the Moonlight Walk with Mountain Walks. Our tour guide Jonny was fantastic. Really friendly and interacted with us all in the group. He was helpful and guided us well. The pace was perfect and he kept us informed on the way up the whole time. Highly recommend this walk! Felt quite anxious at the start however within minutes enjoying chatting with the guides and had a totally fab time thank you to the guides. An amazing experience that everybody should do at least once in their lifetime. The guides were super supportive and friendly! 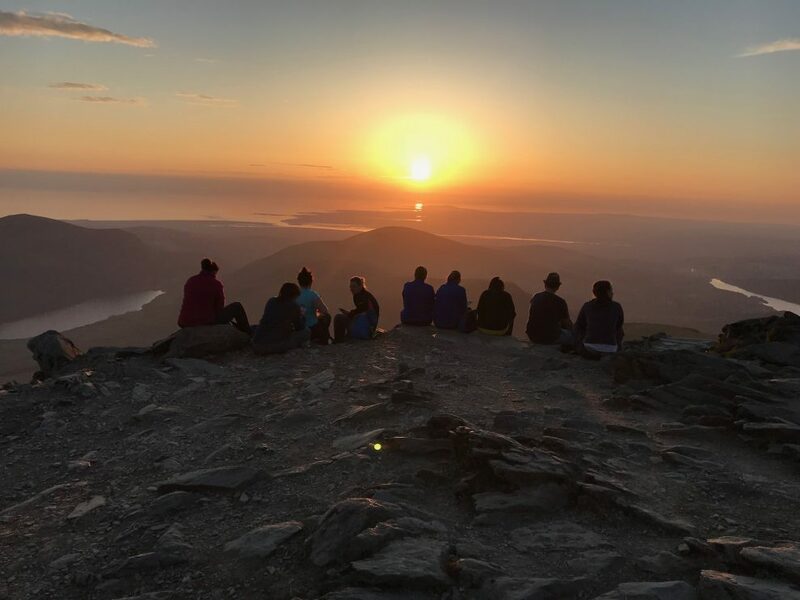 What a beautiful adventure walking Snowdon by moonlight has been, we were fortunate to experience an incredible sunset. Unable to keep up with the main group I fell behind to the back but the guides were fantastic, there was no embarrassment about being the last one, only support and encouragement. A big thank you to all! This was a fantastic walk. 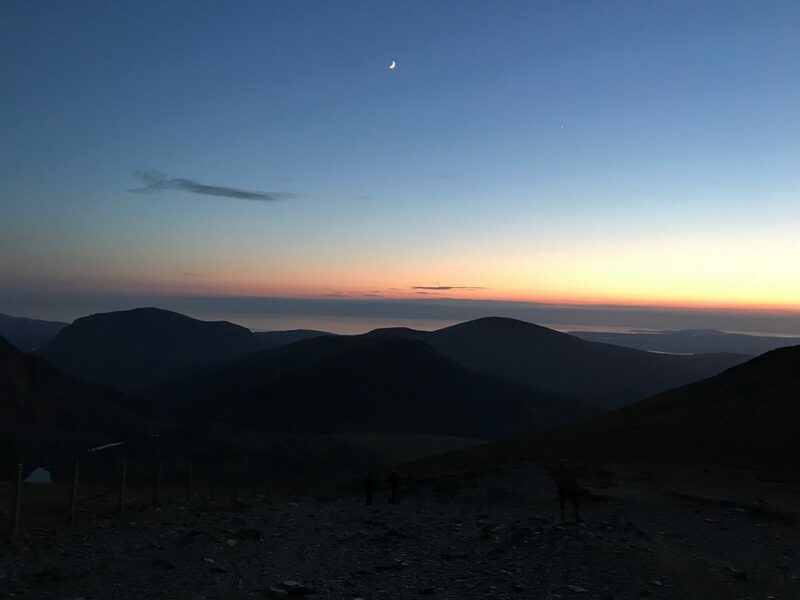 After climbing Snowdon 20 years ago I did fancy this moonlight walk. It was worth the uphill struggle. The views were amazing and coming down at dusk was amazing. Won’t see that anywhere else. It was a fantastic achievement. The guides were fantastic, helpful and friendly. They gave us adequate breaks which were needed as it was a hot day too. What an amazing experience. I found it really difficult but really worthwhile. The views were outstanding. The guides were friendly, encouraging and knowledgeable. It was an incredible experience, one that I will recommend to all my friends and family. The guides were supportive throughout the entire time. 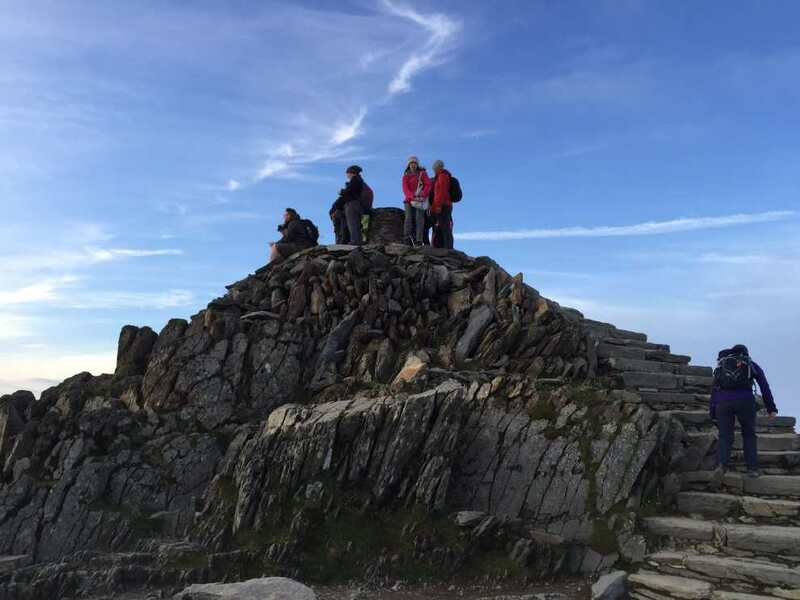 Doing the Snowdon Moonlight Guided Walk is one of the best ways to experience Snowdon. You get to enjoy the climb during the day and take fantastic pictures then enjoy the sunset from the summit with everyone. I’d highly recommend this walk; the guides were so helpful and gave us plenty of information all the way through. I particularly enjoyed being able to walk as a group and not be separated, it made the journey that much more fun! A fantastic experience! The views as we headed up with the sun setting were glorious and the descent in the dark was very exciting. If you’re thinking about doing it, just do it! Beautiful walk well worth the pain and effort. 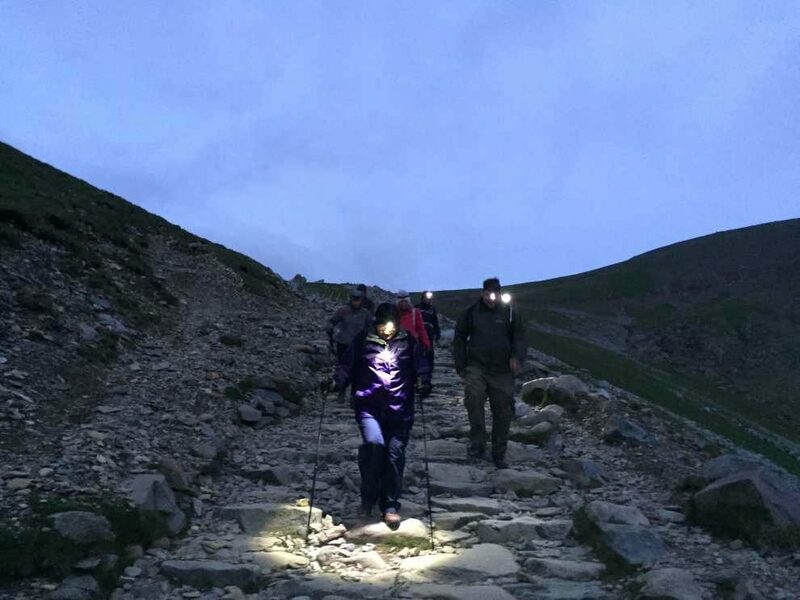 If you do not feel confident or comfortable walking up yourself, I would recommend this walk as it is reasonably priced, surreal to walk through in the evening and the guides did a great job supported the variable fitness levels but did force me to walk faster or slower. I was able to take the route at my own pace. Such stunning scenery and views that the hard work is worth it and I felt safer knowing multiple guides were around without them in essence breathing down your neck to go faster or slower. This was a truly amazing experience. It was a challenging walk but there were enough guides that we were able to pick our own pace. 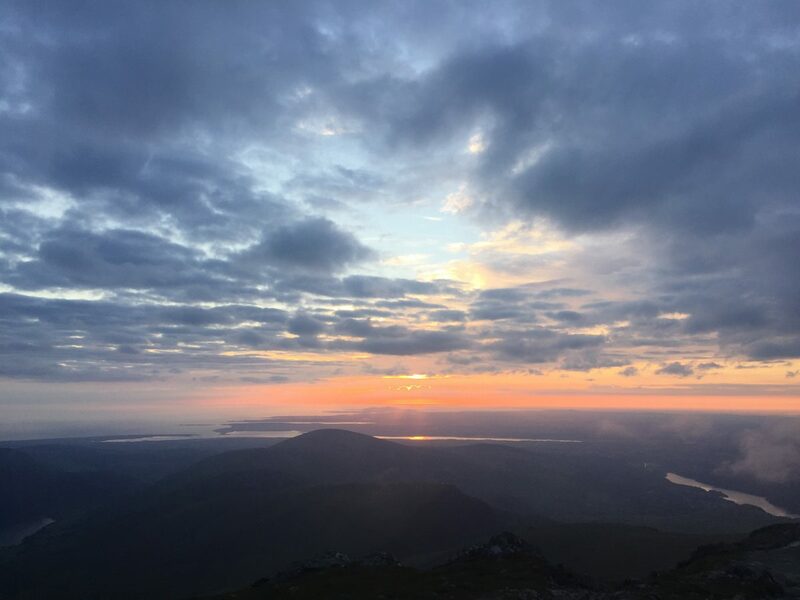 We were rewarded with spectacular views from the summit and a glimpse of the beautiful Snowden sunset. A fantastic evening that we would definitely recommend. 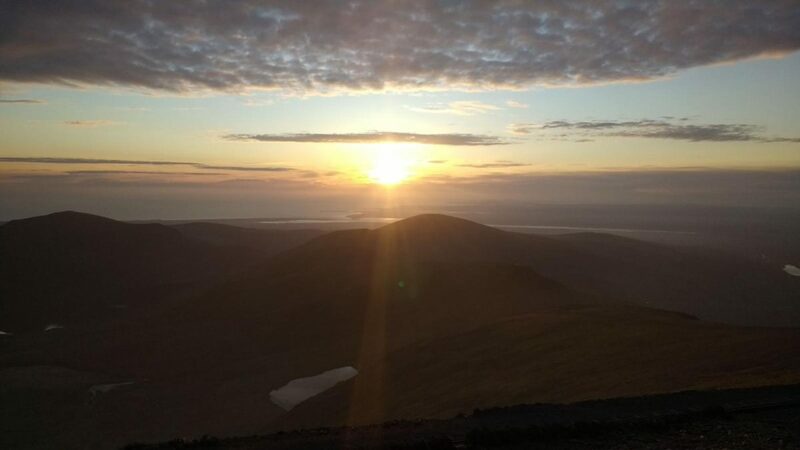 Joined the moonlight Snowdon walk with my hubby this weekend, smooth administration processes for booking/ payment etc. The guides; Tom, Tom and Gerallt were just great, knowledgeable and friendly. The weather could have been kinder….alas no sunset or moonlight, good experience all round though, will definitely be booking again. This is the second walk we have been on with Mountain Walks. 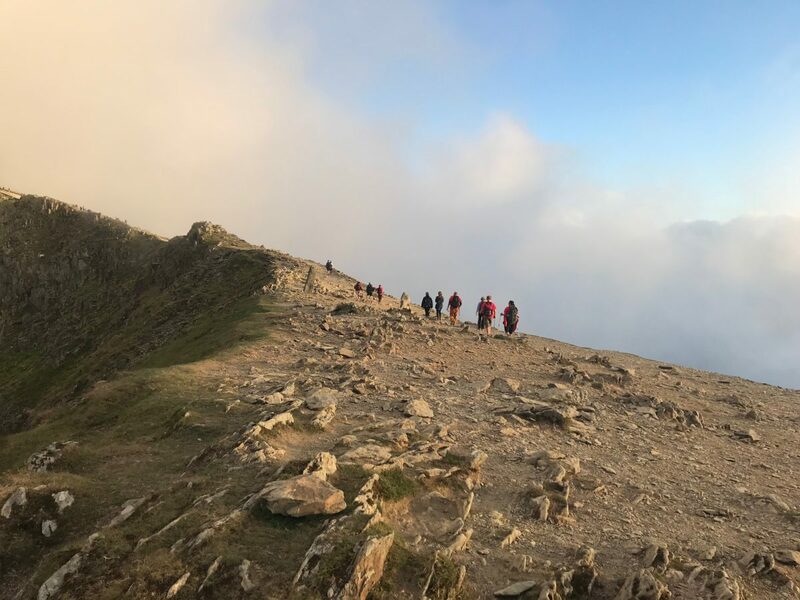 If you have walked Snowdon during the day then the moonlight walk is a must, leave in the late afternoon and have the mountain to yourself. 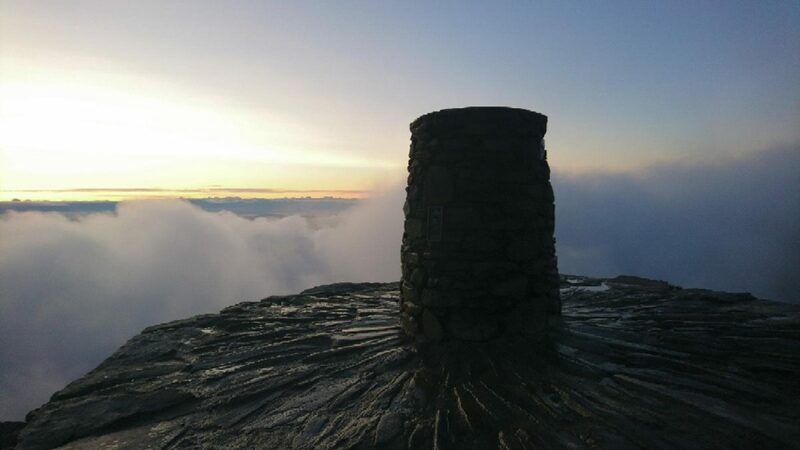 Although the cloud came in at the last minute the whole walk was a fantastic experience and would highly recommend. I was a little nervous beforehand going on my own, but I didn’t need to worry, the group were lovely and really friendly and the guides were helpful and put everyone at ease. 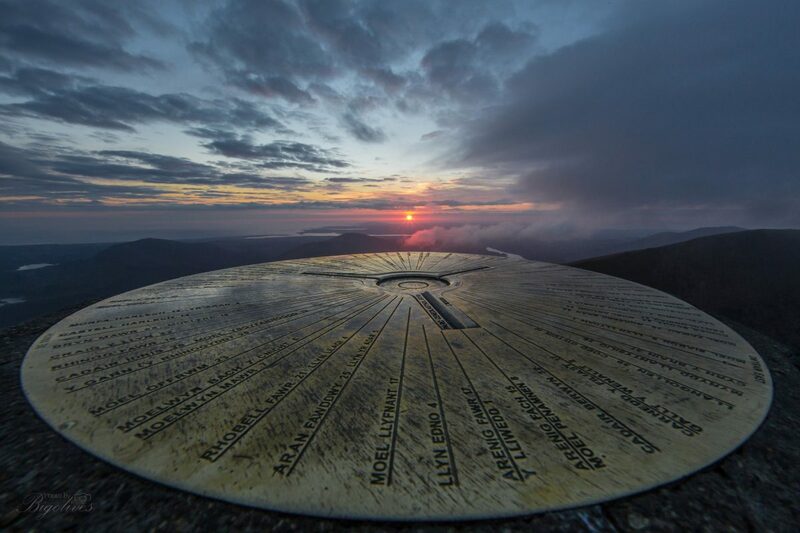 I really enjoyed the whole night, unfortunately just before the summit, the mist came down, meaning there was no sunset, or moonlight which was a shame, but still a lovely way to spend an evening. I loved walking down in the dark. Excellent organisation and information pre walk and good support, knowledge and humour during the walk. Guides even stopped to help someone struggling (from another group) in the conditions to ensure they were ok and mountain rescue were on way. Would definitely recommend and look forward to booking future adventures! Absolutely loved this experience, my first and most definitely not my last. I’ll be BACK!! My mother and I had a wonderful evening with Mountain Walks. The weather was perfect and the scenery really spectacular. 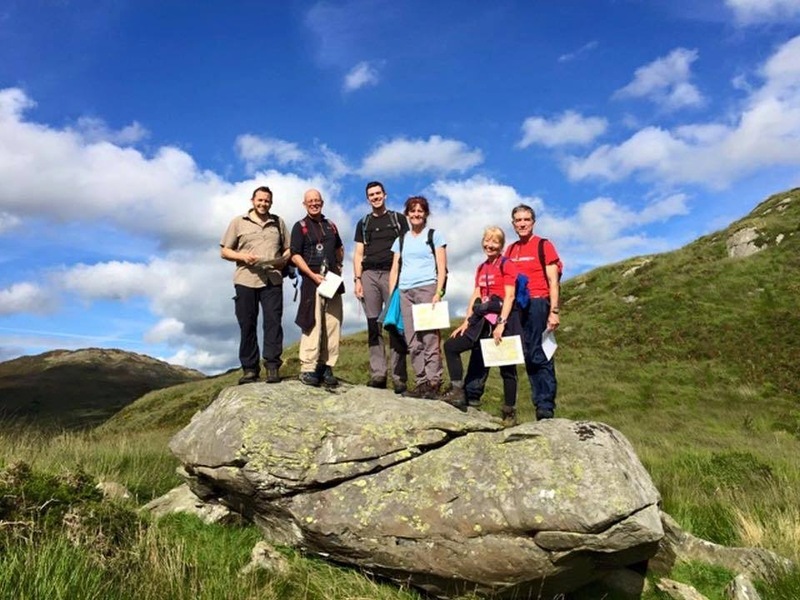 The walk leadership was of high standard, friendly and very knowledgeable of the area. This was a lovely beautiful walk and I would definitely book with Mountain Walks again. What can i say…from start to finish everthing was brilliantly organised. Very well informed of everything that was going to happen. 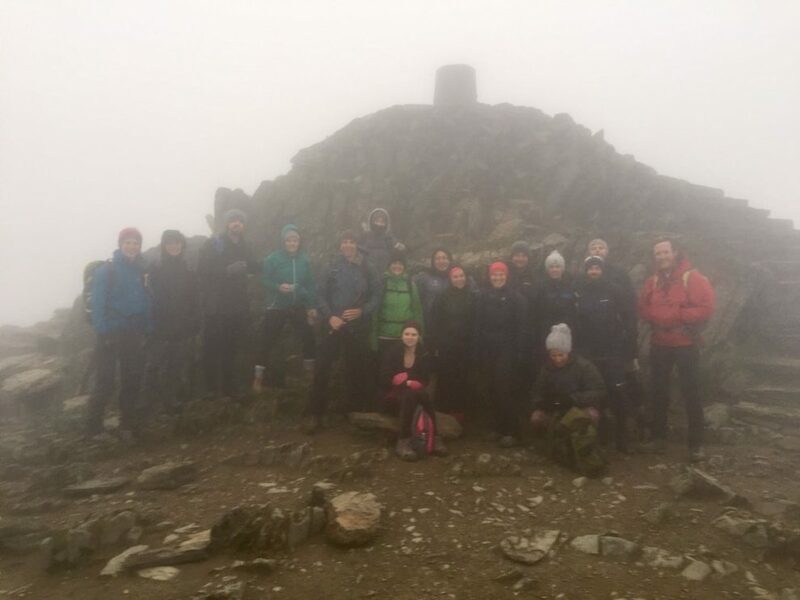 And the guides did a fantastic job of pushing us to reach the top of Snowdon. If your thinking of booking a walk through these people then go for it. Just brilliant.